Well, I was certainly excited to learn the next major Realms of Pugmire book planned. Pirates of Pugmire should cover adventures on the Acid Sea for both dogs and cats. I believe I heard a little something about lizards and birds, too. Someone with more time and a better audio connection might be able to transcribe it better than I, but it sounds awesome! Eddy specifically mentioned a parrot with a parrot on its shoulder. In the other panel at GenCon, he used the phrase 'parrotception' in fact. I'll talk a bit more about it on this week's Pathcast episode. Well, now you’ve gone and decided what I’ll be listening to in the car this weekend. I can’t wait to learn more. This is going to be awesome! Here's some talk about Pirates of Pugmire in today's Pathcast. 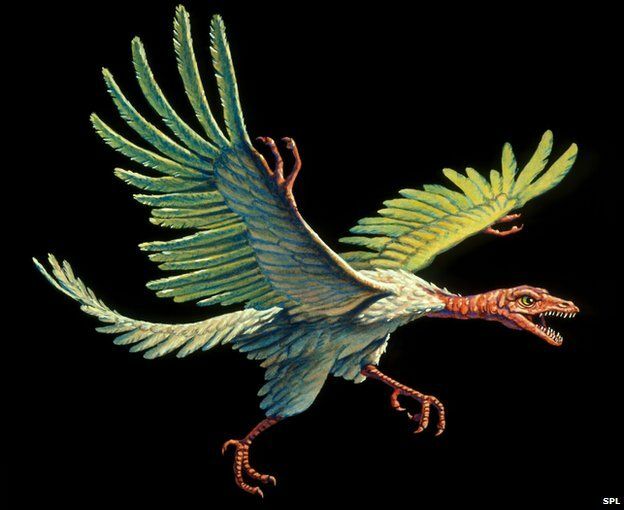 In Onyx Pathcast 15 ( around time 14:00 of audition ), eddyfate mentioned that there is problem with Pirates of Pugmire imaging how should Uplifted Birds physiology looks like – especially hands and feet. If I may advise something as a fan, I would point not to evolution, but to devolution of the species in question. 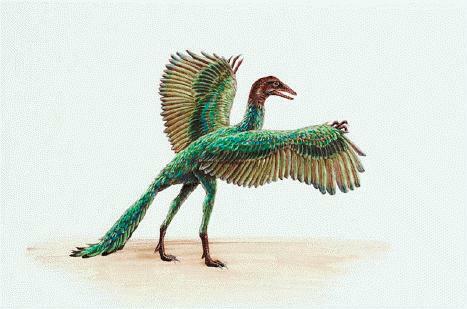 Particularly, that all Birds comes from common ancestor Archaeopteryx that had gripping hands and feet. I think most of Uplifted Birds can easily take inspirations from this species anatomy. That’s kind of what I would expect. Gripping hands on the wings that can wield tools effectively when they’re on the ground, gripping talons that can wield them when in flight, possibly with a disadvantage for birds with webbed feet. Very excited about this new release! As you can see from this drawing I did before Pugmire came out, I've been anticipating this for quite a while! 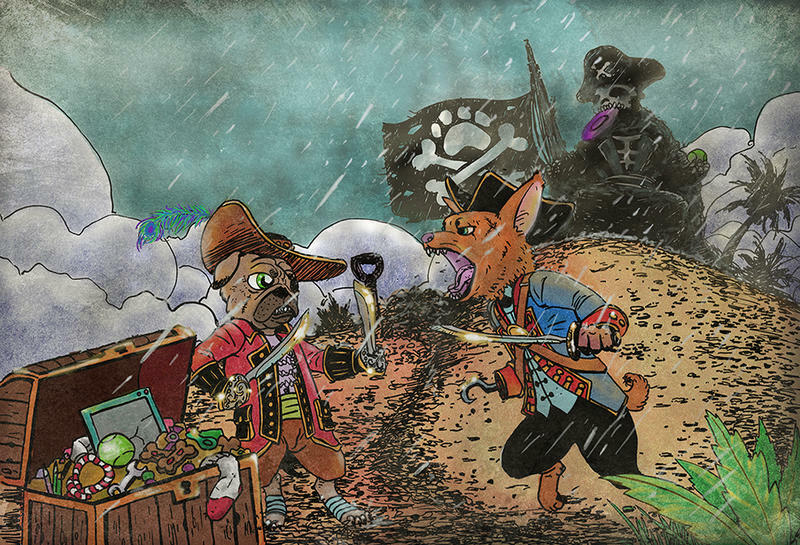 "AVAST", spat an enraged Ben Corgi, as he drew his cutlass and leapt at Captain Flopears, murder in his eyes and in his heart. "Flint's treasure is MINE, and I'll give it up for neither Dog nor Man, leastwise the very same Dog that took my paw!" I draw things! Wanna check it out? Click on the link below! 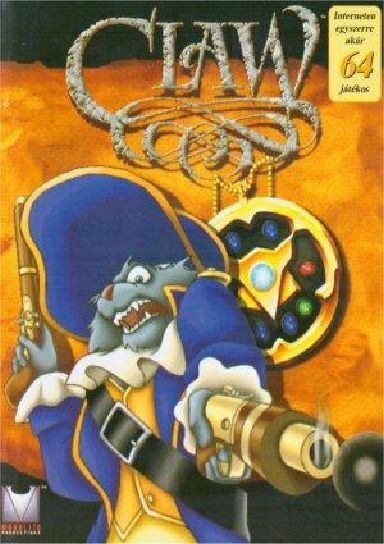 To contrast all those Dogs of Seas - I remember my favorite platformer game of childhood! And now it’s officially in redlines! The real question is, will the big hat survive the redlines? I'll add more big hats!